Even though the item arrived slightly later but it’s definitely value for money. Highly Recommend Authentic product. Works well. Sound is good for the price. The fit of the ear piece is slightly awkward though. Item received in good condition. Small and handy. Easy to bring out. Highly recommended. Item received in good condition. Prefect match with Note9 sound quality extreme good and black friday order again. Fast delivery received within two days, great product. Item received in good condition, fast delivery! Received in good condition. Still learning how to use them. Looks cool and hopefully it works well. Hi, export set so no warranty from Xiaomi singapore? 3 Months warranty in SG/ Please sms/whatsapp 9792-5231 for support! Pls report seller to qoo10. Very irresponsible. How to cancel when you updated the status to delivered? This is the worst experience I ever had? What nonsense reply is this? You guys promised a delivery so many "2-weeks" ago and I am still waiting for my item now. You even changed the status to "delivered" when the item was out of stock. I want a refund immediately. To those that are still asking for this stock. Don’t need to bother. 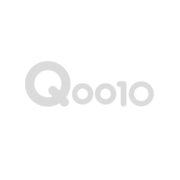 Just go and get refund from Qoo10 inquiry. Have cancelled mine yesterday and gotten my refund. Had the worst experience ever. Waited for almost 3 months and only answer given is wait for another 1-2 weeks. If you can’t commit, should have just told us to cancel order rather than hoping it to reach. Sorry no stock soon, pls cancel. Thank you, have a nice day! Hi. Have made the payment on Dec 11 and have yet to receive the item till date. Emailed a couple of times and there’s not response on the ETA. Would gladly appreciate a response. Thanks. Order no. 286270127 ready to delivery? Worst seller I have ever dealt with. Waited 2 months and item still has not arrived. Whats worse is that the seller doesn't answer our questions. Please report this seller as this behavior is unacceptable, especially for a seller this size. Hopefully my cancellation will go through. Very disappointed.